A fire broke out at the Vuci Methodist Primary School in Nausori yesterday evening. 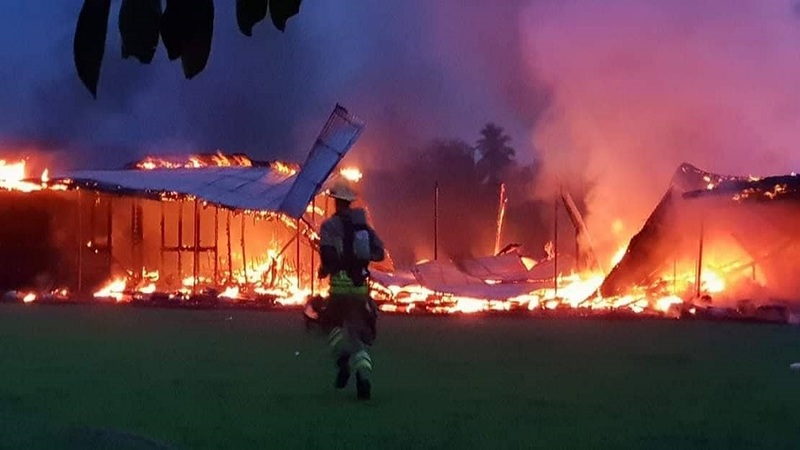 Nausori Fire Station has confirmed to FBC News that an entire classroom block has been destroyed. Firefighters were at the scene for a long time trying to contain the fire from spreading to the entire school. NFA and Police have launched an investigation to ascertain the cause of fire.